Chris Harper Mercer murdered 9 people and we need to name him, no matter "what he wanted." It Doesn’t Matter “What He Wanted.” Chris Harper Mercer Murdered 9 People and We Need to Name Him. Chris Harper Mercer killed 9 people at Umpqua Community College on Thursday. And there’s no reason we shouldn’t say his name. The shooter’s name was Chris Harper Mercer. And he already got what he wanted. Don’t name the shooter. In the aftermath of a mass shooting, some well-meaning person—maybe a cop, maybe a relative of one of the victims—will inevitably enjoin the media to withhold the attacker’s name, in order to prevent copycat killings and deny the shooter the notoriety that he so clearly craved. People said it this August, in Roanoke, Virginia, after television journalist Vester Lee Flanagan used a Glock 9mm pistol to murder two of his former colleagues. People said it this June, after Dylann Roof used another Glock to murder nine people at a prayer meeting in Charleston, South Carolina. People say this after every single mass shooting. This censorial impulse is smarmy and wrong. Journalists are not supposed to elide relevant facts when reporting a news story just because reporting those facts might strike some people as offensive or wrong. This is partially a matter of clarity—it would be tedious and confusing to have to write around Chris Harper Mercer’s name and just refer to him as “the shooter”—and partially because it is essential for journalists to report causation when causation is knowable. 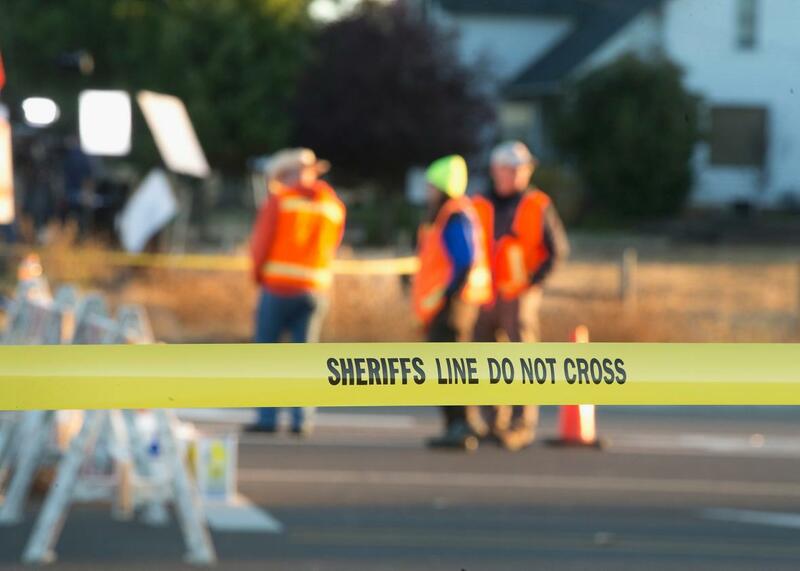 The Umpqua Community College massacre didn’t just happen. A ghost didn’t kill all those people. Chris Harper Mercer did it with guns he acquired easily, because we live in a country where it is very easy to acquire guns. Journalists are not putting Mercer’s name, photo, and life story on television and on the front pages because they want to give him glory. They are doing so because he shot up a school, and we know that he did it, and his name, likeness, and biographical data are very, very newsworthy. This is what a mass murderer looks like. This is how he lived. These are the things he professed in public. *Correction, Oct. 2, 2015: Due to an editing error, this post originally misstated that Chris Harper Mercer murdered 10 people. He killed nine people and also died himself.